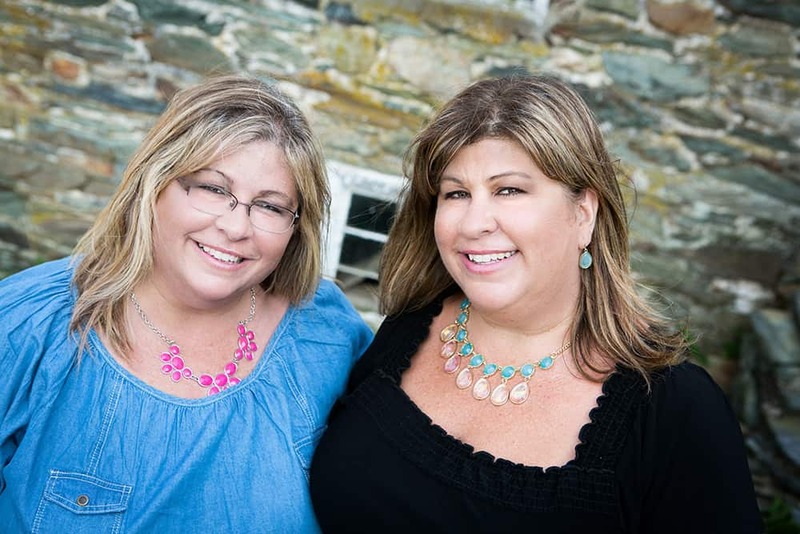 I was given a complimentary personalized lasagna dish from Personal Creations in exchange for this blog post. All opinions are my own. Did you know that there is a National Lasagna Day? 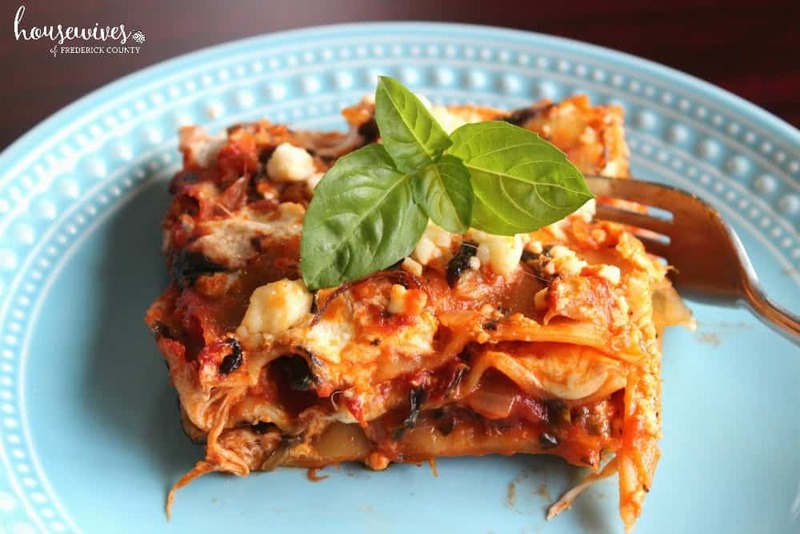 Well, let’s get ready to celebrate with our delicious spinach artichoke lasagna recipe. 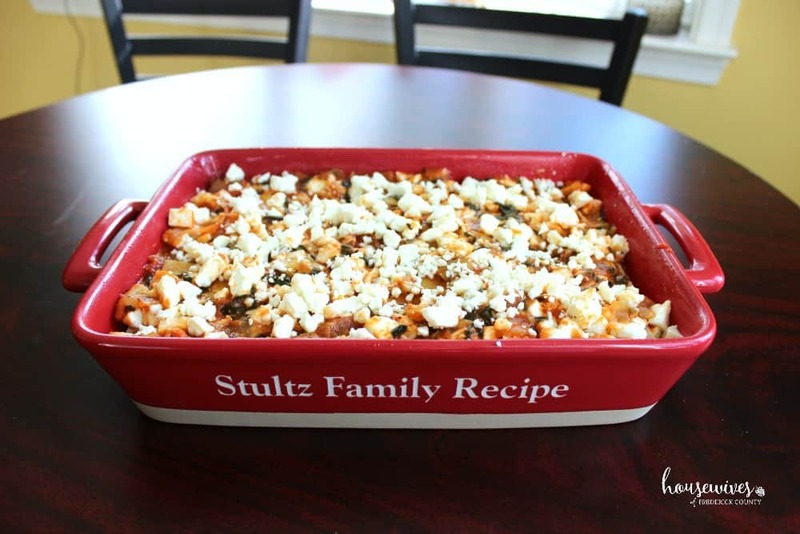 It is the perfect comfort food and a great dinner idea the whole family will love. 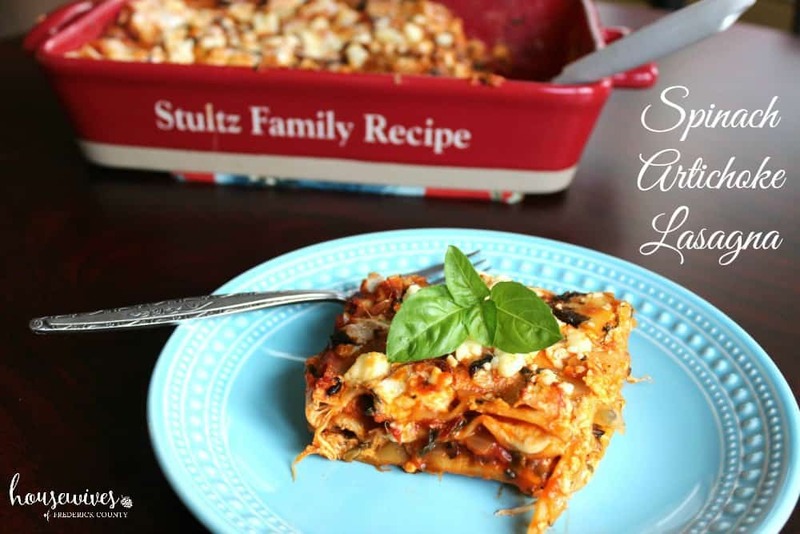 I love the conventional lasagna recipe just as much as the next guy. BUT, I wanted to create a recipe that was a little bit different this time since I had a brand new dish to make it in. This version is meatless but doesn’t in any way take away from the satiety that the meat-filled version provides. 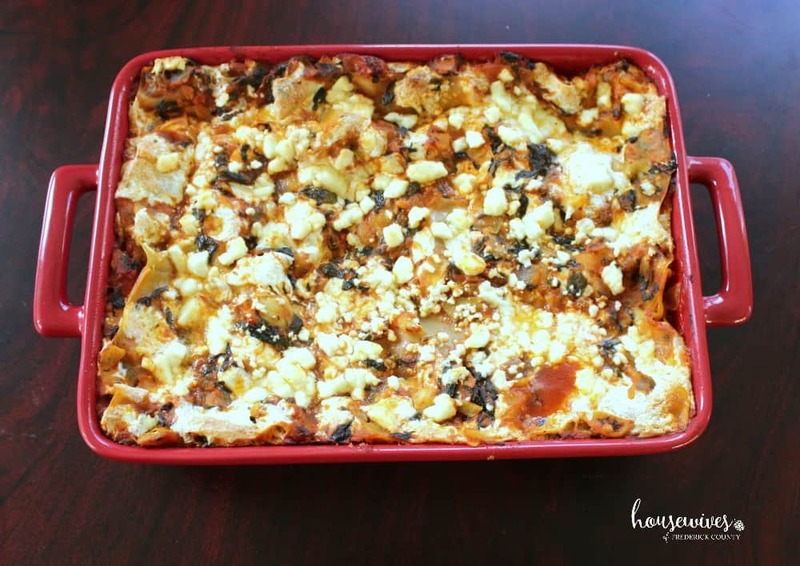 Grease lasagna dish with olive oil. Spray large skillet with cooking spray and heat on medium high. Saute onion and garlic for 3 minutes until onion is tender crisp. Stir broth and rosemary and bring to a boil. Spread 1/4 of the artichoke mixture in the bottom of the prepared baking dish. Then top with 5 no-boil lasagna noodles. Sprinkle 3/4 cup mozzarella cheese over noodles. Repeat layers 2 more times, ending with artichoke mixture and mozzarella cheese. Uncover and bake an additional 15 minutes, or until hot and bubbly. I was a little apprehensive to serve this spinach artichoke lasagna to my hubby for the first time. He is more of a ‘meat-and-potatoes’ kind of guy. Plus, this spinach artichoke lasagna doesn’t look exactly like the kind mom made back in the day. BUT, thankfully he loved it! I didn’t miss the meat one bit. 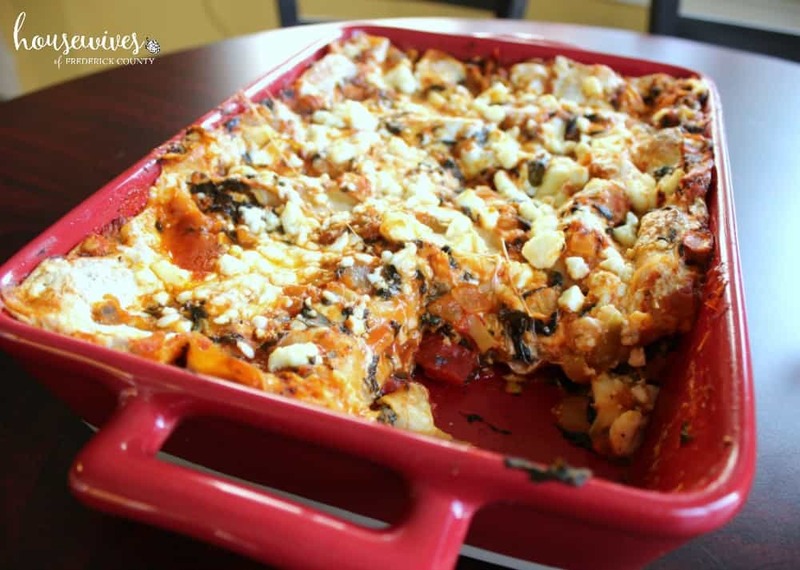 I highly recommend this vegetarian recipe as a change from the every day lasagna. And it was that much more special being served out of my new, personalized lasagna dish. 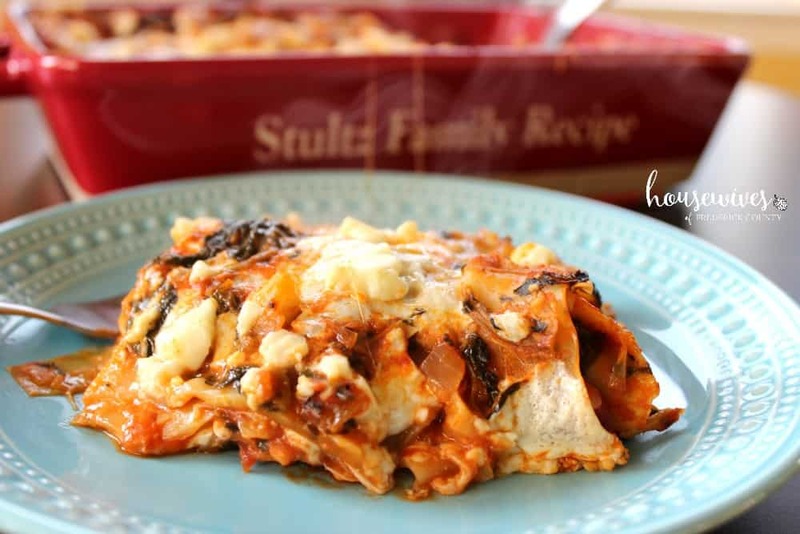 Do you have a tried and true, favorite lasagna recipe in your recipe box?